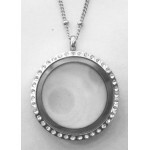 MOM window fits our large round lockets. 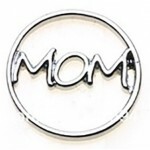 Perfect gift for any mom! 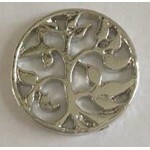 Pair with charms representing .. 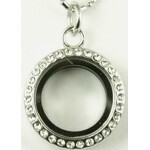 The original round locket with rhinestones makes a wonderful present for someone you love or your..
Birthstones for Floating Charm Lockets. 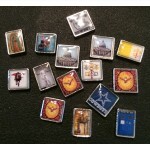 These are great for commemorating birthdays or just addin.. 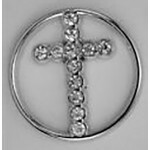 This beautiful rhinestone cross background is great for lockets that are gifts for sacraments. Fi.. 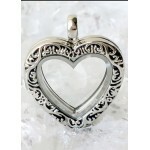 This heart locket has a vintage look to it with a beautiful filigree border. Comes with adjustabl.. This background is great to represent family. 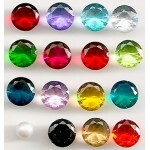 Add in birthstones for a customized touch. Fits lar.. 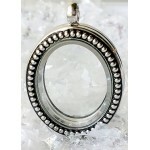 This oval locket has a vintage look to it. Comes with adjustable rolo chain. Stainless steel. 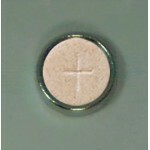 Loc..
A charm representing Holy Communion. 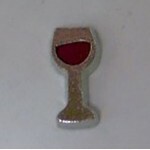 Perfect for First Communion or RCIA gifts! .. 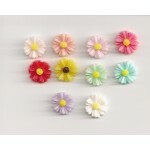 Cute gerber daisies for Floating Charm Lockets. Comes in 10 colors to choose from. 8.5mm .. 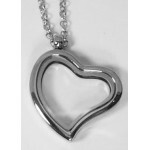 This curved heart locket makes a wonderful present for someone you love or yourself! Comes with a.. 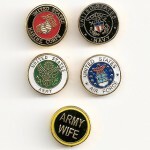 Floating charms representing the Armed Forces. 7mm .. 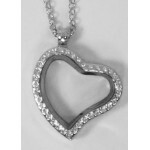 This curved heart locket with rhinestones makes a wonderful present for someone you love or yours..